Recently, a pedestrian was in critical condition after a hit and run, in which the pedestrian was thrown across an intersection. The driver of the car didn’t stop, and the pedestrian had to go to a trauma center to be treated for life-threatening injuries. The police searched the area and found the vehicle involved parked in a complex with the pedestrian’s belongings still embedded in the grill. The driver was located nearby and brought in for questioning. Police believed that the initial reason for the crash was the pedestrian’s failure to yield the right of way to the car, but the investigation is ongoing. 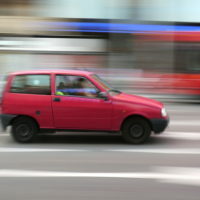 It is illegal for a driver to flee the scene of a car collision. Whenever somebody is involved in a motor vehicle accident in Maryland, they are legally obliged to stop and exchange insurance information with the other party. If there are injuries, you are required to call the police and file a formal accident report. A hit and run driver who leaves the scene of an accident involving injuries may face criminal charges. Those convicted may face up to five years in prison and a $5,000 fine. Many hit and run drivers are not insured, and this is why they flee. It’s estimated that about 12% of Maryland drivers are uninsured. In many cases, the driver is never located, and as a result, victims of these hit and runs are unable to sue the driver for damages resulting from their injuries. In Maryland, a victim of a hit and run for which the driver is never located or is uninsured may be able to make a claim against the uninsured motorist coverage of his own automobile insurance policy. When you make an uninsured motorist claim, the insurance company must step in and become the insurance company for the at-fault driver. This means they will no longer be on your side but will look for ways in which you, and not the hit and run driver, were at fault. In order to recover damages under the uninsured motorist provision, you will need to have a viable claim of negligence against the hit and run driver. The insurer can use all the same defenses that the hit and run driver would have used had you sued him. An uninsured motorist claim may thus be subject to the doctrine of contributory negligence. Maryland is a contributory negligence state, which means that even if a plaintiff was only 1% negligent in causing his injuries, he may be completely barred from recovery. However, you can recover monetary damages if you would have had a successful tort claim against the hit and run driver. You can’t recover more than the limits of the coverage on your uninsured motorist policy. However, as in an ordinary personal injury lawsuit, you may be able to recover pain and suffering damages under your uninsured motorist policy. Since an uninsured motorist claim is adversarial, and your insurer may not be looking out for your best interests, it is important to consult an experienced personal injury attorney when filing this claim. If you are injured in a hit and run, you should consult a Maryland injury attorney as soon as possible. Contact the attorneys at Steinhardt, Siskind and Lieberman at (866) 902-4111 or via our online form. We can help you investigate all possible avenues of relief.